About Triumph Real Estate Investments, LLC. 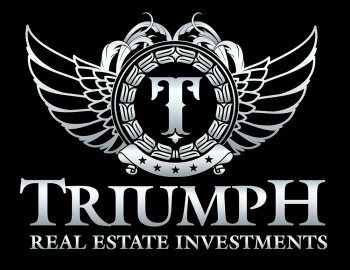 Triumph Real Estate Investments, LLC is a leading real estate investment firm and lender providing wealth-building solutions for investors and borrowers. Our focus on stable income, principal protection and higher yields, combined with our highly rated and transparent customer service, makes Triumph the go to resource for alternative investments. We provide attractive capital solutions to borrowers from our strong lending culture, commitment to exceptional performance and uncompromising integrity. Fantastic business. Was a great choice for me and my family!